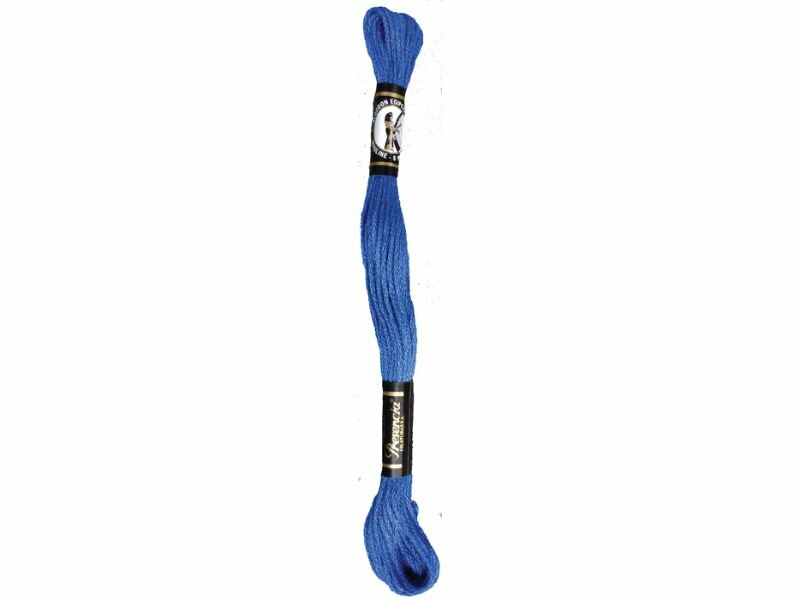 This Finca Mouline 8 meter skein embroidery floss is 100% extra-long staple, Egyptian Cotton from Presencia. It is mercerized for strength and is colorfast, bleachfast and shrinkfast. It has been chosen to enhance the 1891 Redwork Quilt. as you may wish to create a bluework quilt! Receive free shipping up to 11 skeins. Buy a box of 12 skeins for a 20% discount. Shipping for a box will be adjusted downward when it is mailed. You will not be charged the amount that comes up in the cart. Adding additional items will incur charges, but again, will be adjusted downward, when possible.